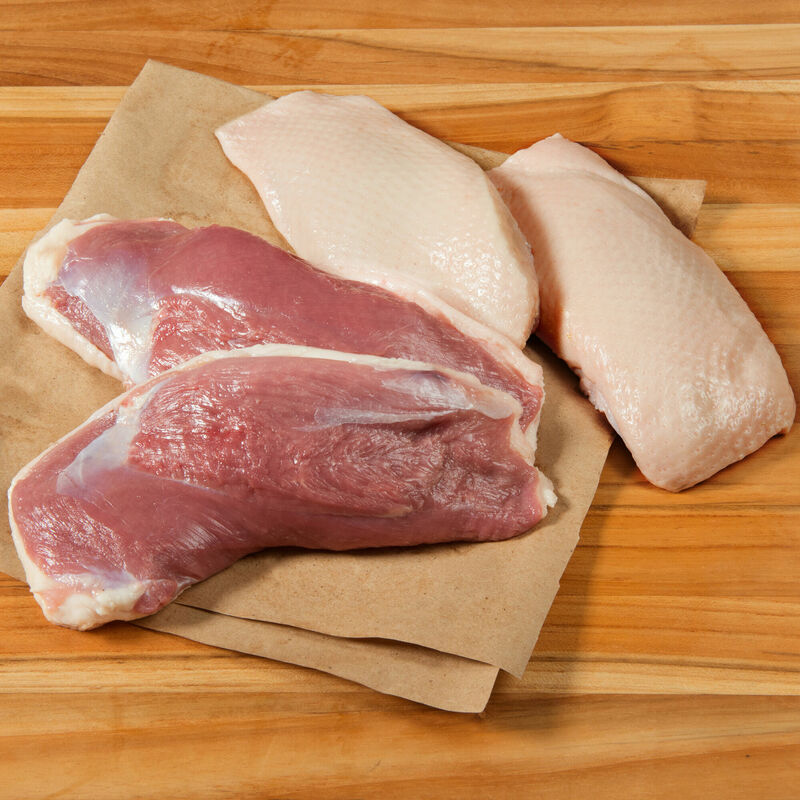 Pekin duck, also known as Long Island duck, raised with no antibiotics or hormones, in open barns. Humane farming traditions, a grain diet, and strict protocols contribute to the great flavor of our Pekin duck, which offers lean, succulent, delicately flavored meat. D’Artagnan sources Pekin duck from two well-established family farms; each is dedicated to continuing humane farming traditions while incorporating the most advanced modern techniques. White Pekin ducks are also known as Long Island ducks, and although the farming tradition has largely been displaced in that region, our farm is one of the few remaining multi-generation duck farms in Long Island, NY. The other is in Indiana farm country and combines decades of duck-farming knowledge with advanced modern techniques. From egg hatching to processing and packaging, this farm controls every aspect with the strictest standards. At both farms, the ducks are raised with care and attention to their well-being in large barns with plenty of space, natural light and air. The ducks eat a diet of corn, soybean meal, and wheat, and drink filtered pH-balanced water.